It's Christmas in New York, which means the tree has hoisted at 30 Rock, the throngs are conquering Macy's and The Nutcracker ballet is back, ready to delight and enchant all season long. It isn't that we have anything against the occasional sugar plum fairy, but permit your hostesses to offer you a darker, more delicious alternative. 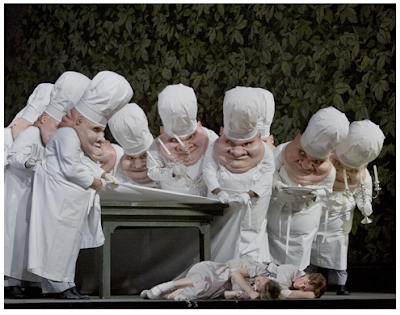 Hansel und Gretel: The Opera. 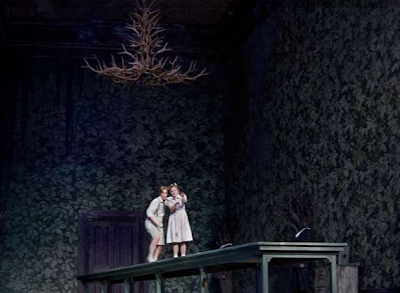 Composed by Engelbert Humperdinck (a fairy tale name if we've ever heard one) in 1892, the opera is an adaptation of the famous Brother's Grimm tale of the same name. 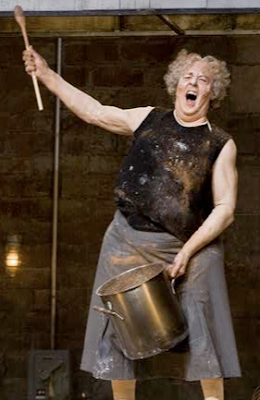 Traditionally performed around Christmas, the current production at the Metropolitan Opera features outstanding British tenor Philip Langridge on cross-dress duty as the Witch with Fabio Luisi conducting. 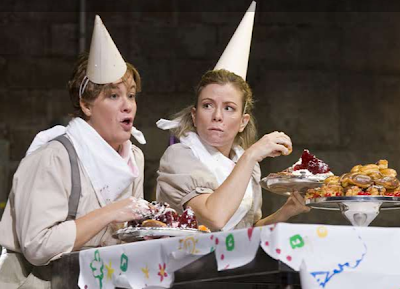 The culinary joys of this production are obvious - cupcakes, cauldrons and bonbons galore! Add in just a sprinkle of cannibalism and you've got a gothic gorge-fest! And while this old bat isn't quite the lady chef of our dreams, her passion for gingerbread is something we can definitely get behind. The Met has a sweet little minisite with video clips here. Also, keep an eye out for the Gastronomista Holiday Gift Guide! Coming soon.